WeLoveAnyCar.com: Did Darwin Predict The Demise Of SAAB? ‘Natural Selection’ is busy weeding out weaker car brands and poorly designed models. On National Darwin Day, WeLoveAnyCar.com predicts the ‘Car Dodos’ of the future. Darwin’s rules of natural selection are simple; the strong survive. 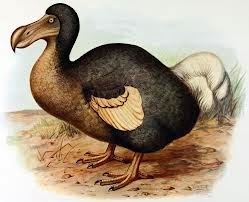 The most famous example, the Dodo, failed to adapt and thrive and became extinct. 12th February is Darwin Day and the WeLoveAnyCar.com car review site considers today’s car dinosaurs and highlights potential endangered car species. The recent recession nearly crippled the biggest car beast on the block – General Motors – who sought US Government cover and shed jobs and brands in order to survive. SAAB is the highest profile car manufacturer to have failed in Europe with the last car being manufactured in April 2011. Part of GM, SAAB’s future before the recession, must have seemed assured. The plight of SAAB is more a story of a weak car brand than a weak parent. Known for small and nimble cars in the 50s, 60s and 70s, its models grew ever bigger and less agile. It failed to take advantage of innovations like the transverse engine developed before the Mini and its lead in turbo technology quickly ebbed away. In retrospect, there can be no other automotive example more worthy of a Darwinian analysis than SAAB. Under investment and the failure to adapt to the market – much stronger for smaller cars like the VW Golf – meant that SAAB crept into the crevices of the luxury market and failed to spot niches where other manufacturers leapt at opportunities such as the growth in MPVs. WeLoveAnyCar.com, the Manchester based car review site, has close to 430,000 car reviews and the sheer number of ratings drivers submit give clues to the potential ‘Motor Dodos’ of the future. What Car Would Darwin Buy? GM, SAAB’s erstwhile parent, announced that it would stop selling its Chevrolet brand in Europe, based on cars manufactured in South Korea. There are still a number of Daewoos on the roads – the same models before the re-brand to Chevrolet. The cars are the lowest rated according WeLoveAnyCar.com and, according to Darwin, there should be no surprise in the demise of the unloved car marque in Europe and the loss of thousands of jobs. There are a few surprises on the lowest rated lists. However, it is worth noting that Darwin himself said it was individual performance which matters most. Fiat is a company of 2 halves; before the Fiat 500 and after the world beating mini model was launched. Models built before the 500 pull down the performance of the Fiat brand which is now resurgent not just in Europe but worldwide. Photocredits and find out more about Darwin on Wikipedia.